American vessel 'Turtle' (1776), the first submarine to be used in war, 19th century. 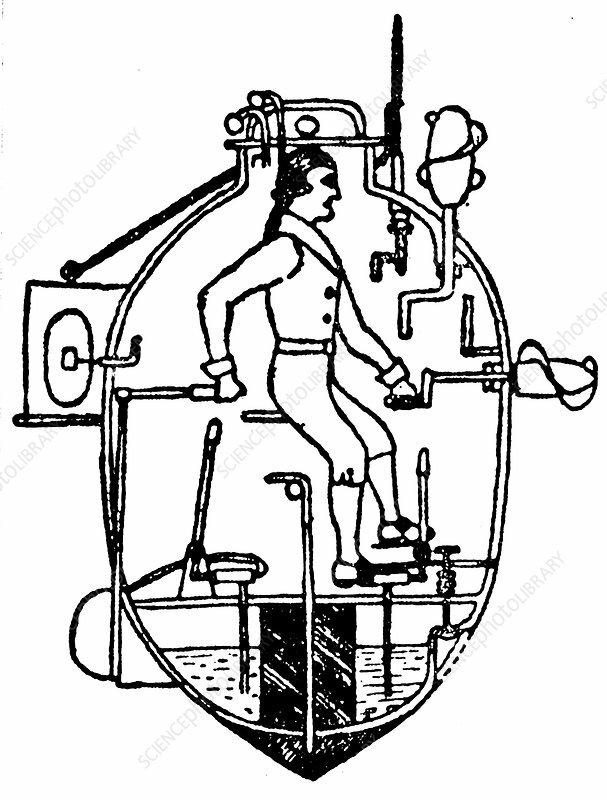 Designed by David Bushnell (1742-1824), the vessel was propelled by a crank and contained sufficient air for a 30 minute submersion. During the American War of Independence (1775-1783) several attempts were made to use 'Turtle', armed with a single mine, to blow up British warships. This shows Sergeant Ezra Lee on 6 September 1776 during his abortive attack on the 'Eagle', one of the British ships blockading New York Harbour.